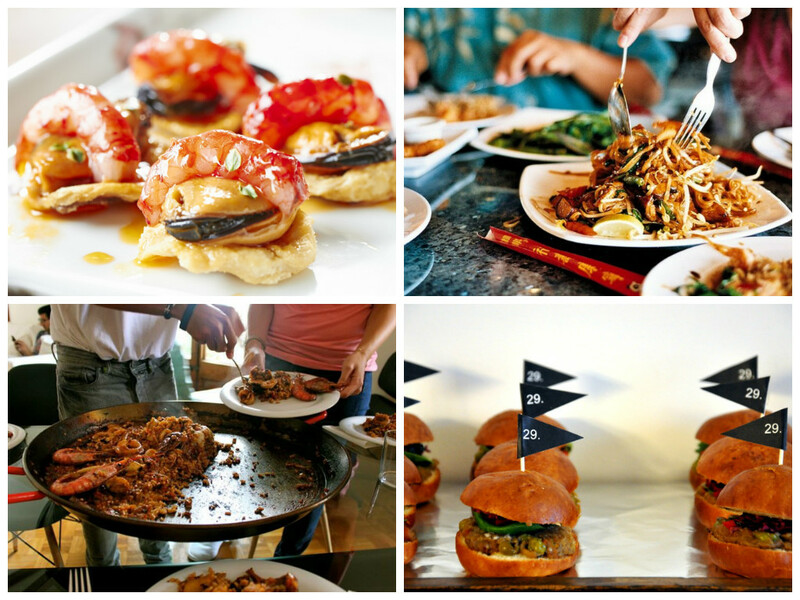 These are some common statements overheard regarding the F&B scene in Malaysia. 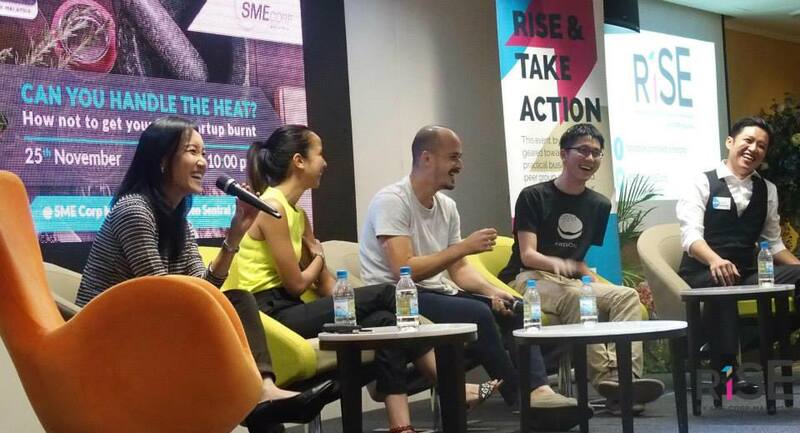 In search of some real answers, I headed to an F&B talk organised by RISE of SME Corp. Malaysia to find out, as appropriately named by the organisers themselves, how an F&B startup can handle the heat and not get burnt. 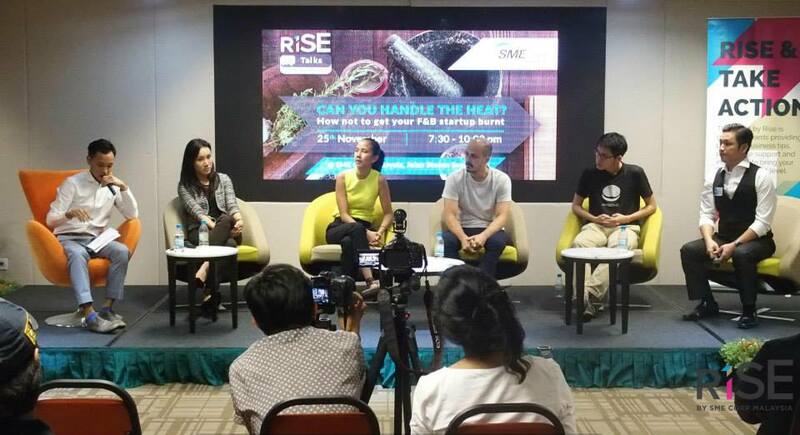 RISE organises events for participants to learn from Malaysian entrepreneurs about how to build successful startups. The speakers on the panel were not disappointing, ranging from different backgrounds and running their own up and coming F&B startups. 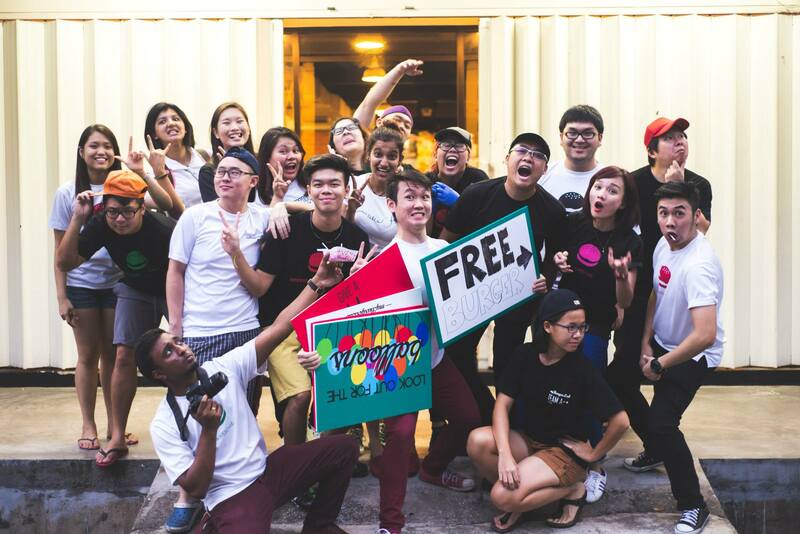 There was the sophisticated and pleasant-looking Wan Chiun of Smooshie Juice; the charming and charismatic John Isaac Ho of Sangkaya; the young yet experienced Teoh Wee Kiat of myBurgerLab; and the adventurous go-getters Irawan and Noreen of Curbside Cantina and Cantina Moderna. Always wondered if you’ve got what it takes to start your own F&B business? Here’s what I learnt from the event and I hope these tips will help if you wish to take the leap of faith and dive into the world of F&B. Apparently, you don’t have to study and graduate from culinary school or intern at a 5-star French restaurant to have your own successful F&B business. 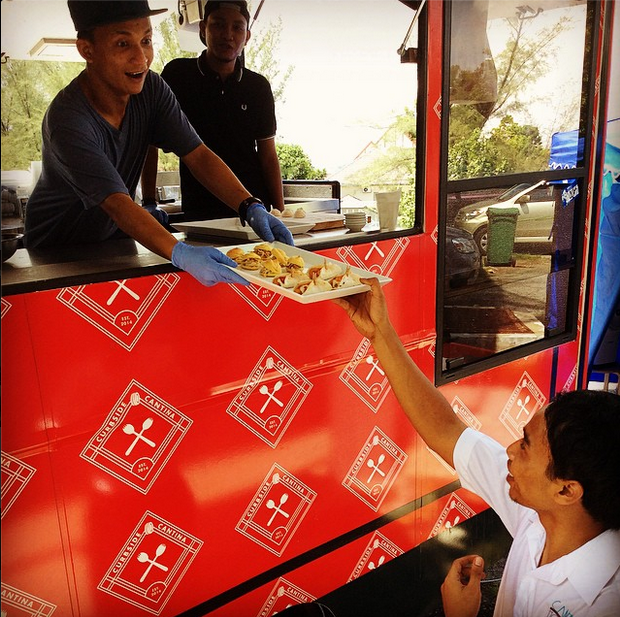 The owner of Sangkaya, John, was from an IT background; Wee Kiat shared that he was from the field of finance and his co-founder was an engineer; and one of the founders of Curbside Cantina was formally an architect. This shows that no matter your background and education, if you have the hunger and thirst to learn, the discipline and persistence to succeed, and the right people with you, then you have a fair shot in the F&B industry. There’s no denying that it is important to make a profit while running a business, because that is your livelihood. Most entrepreneurs wouldn’t readily admit that they only began their business with the sole purpose of earning tons of money and be a millionaire, and that’s because most of the time, successful entrepreneurs don’t. Instead, they would begin their business with their customers’ benefit in mind. 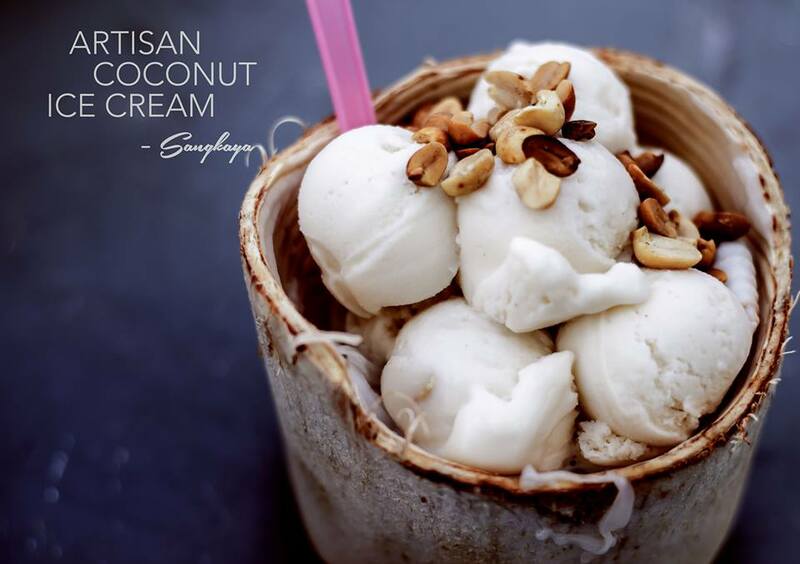 During the talk, John shared that he started Sangkaya because he wanted to share with everyone the goodness and benefits of coconut, thus having coconut as his main ingredient in his artisan ice creams. “We’re out to make the world a happier place, one burger at a time.” That’s the goal of myBurgerLab, and more than that, Wee Kiat wanted to create an environment that is young and energetic to serve good food and make customers happy. Again, another example of having customers in mind when beginning an F&B startup. 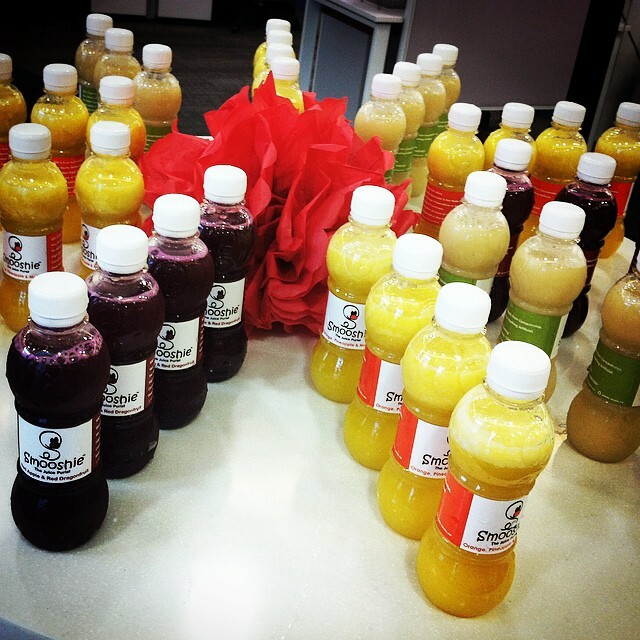 Wan Chiun and her co-founder started Smooshie Juice because she wanted to share healthier options for consumers who want a thirst-quencher so that they don’t have to resort to other juices in supermarkets which have preservatives, colouring, and other extra non-healthy ingredients. It seems that if you want people to love your F&B startup, you need to have noble intentions to share something worthwhile with the world. John spent 3 months travelling all over Malaysia to perfect his coconut ice cream recipe, and Wan Chiun analysed health statistics (and found some alarming numbers of unhealthy and obese Malaysians), current ingredients in store-bought juices, and recognised the need for healthier juices in the market. Wee Kiat advised everyone at the talk to select friends who are brutally honest to taste-test your products. Basically, don’t choose friends and family who are going to say that everything tastes fantastic when your food is actually horrible. They may say the things you want to hear but this is going to hurt you in the long run. He also rented a space in a café to test his burgers with members of the public. Noreen stressed the importance of identifying the missing gaps in the market, because those are the blue oceans that are yet to be brought to the fullest potential. The founders of Curbside Cantina also used pop-up stores to test their products (delicious, healthy tacos) to get feedback from their customers before deciding to start their food truck business. John suggested that the staff should be involved in making decisions in the company; not huge ones, but small ones, so that a sense of ownership is created within the staff themselves. They will feel like they are a part of the company, not manual labourers. If you think starting an F&B is only about putting a good product out there and waiting for the money to come in, you’re going to be sorely wrong. John mentioned that mental preparation is necessary for the obstacles ahead, and this is too mentioned by Noreen as many long hours are needed for the buying and preparing of ingredients, and actual cooking and serving time. If you’re actively involved in all the affairs of your business, then you should be physically, mentally, and emotionally ready for whatever that is to come. In Malaysia, food trends drive the dining scene. At one point, everyone was rushing to the nearest Chatime store for bubble tea. Then gourmet burgers were all the rage, followed by artisan coffees and hipster cafés. Mille crépe layer cakes were also trending for some time. Recently, with all the health concerns among the younger generation, some are going for popular diets, such as the gluten-free diet. However, all the speakers present during the talk unanimously agreed that it is dangerous to create a business just to blindly follow the hype. Your product should be created to outlast these trends and you should have full confidence in your food so that it doesn’t just attract hundreds of customers in a short period of time and then eventually disappear, but thousands upon thousands of them over many, many years.